Unicoatings™ UC STONE COAT – ANTI GRAFFITI is a protective coating that creates an invisible hydrophobic, oleophobic, permeable and weather-resistant layer and protects surfaces against graffiti for up to 5 years. 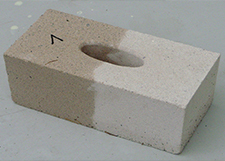 UC STONE COAT – ANTI GRAFFITI is particularly well suited for use on sandstone, travertine, natural stone, marble and granite. Customers in the buildings and construction markets appreciate the benefits of UC STONE COAT – ANTI GRAFFITI; knowing that their assets are well protected from graffiti attacks. 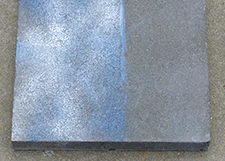 UC STONE COAT – ANTI GRAFFITI is a water-based, clear coating that protects absorbent surfaces against graffiti for up to 5 years. 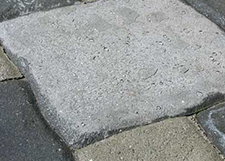 As well as enjoying excellent anti graffiti properties, surfaces treated with UC STONE COAT – ANTI GRAFFITI remain permeable, so any liquids or gases present in the material can pass through. When treated surfaces are attacked by paints or lacquers, the protection delivered by the product ensures that the paints do not penetrate deeply into the material and only adhere to the material’s surface. This makes it much easier and faster to remove any graffiti, which should be done with standard graffiti removal products. Graffiti attacks can be cleaned up to 3-5 times before a re-coating is required. 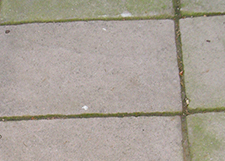 In addition, surfaces treated with UC STONE COAT – ANTI GRAFFITI are more resistant to fouling by algae, moss or lichens. 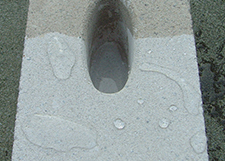 The product can be easily applied to a surface from the bottom up by brush, spray or rolling. The complete effect of the anti graffiti properties will take effect after a period of 3-5 days. Once treated, surfaces can be cleaned of everyday dirt and soiling with UC CLEANER. 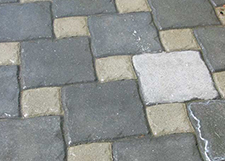 When maintained correctly, this coating will last up to 5 years.